According to Dave Meltzer of the Wrestling Observer, Ronda Rousey will have a match at WWE Fastlane in Cleveland next month. The 'Baddest Woman on the Planet' is coming back to Cleveland. 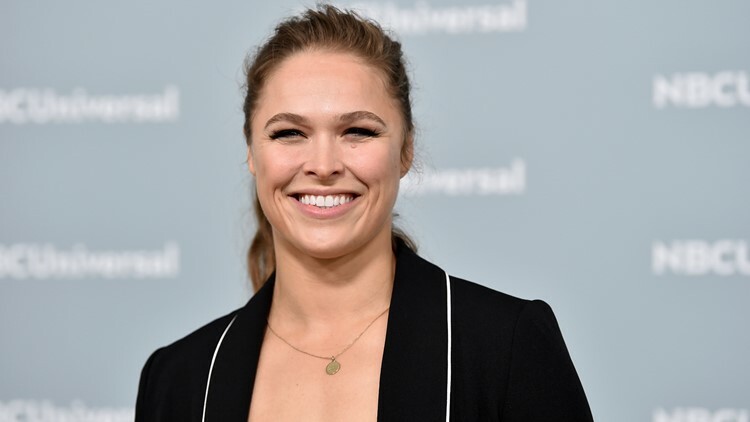 Over the weekend, Dave Metlzer of the Wrestling Observer reported that Ronda Rousey will in fact be participating in a match at 'WWE Fastlane' at Quicken Loans Arena on March 10. It is currently unclear who the Raw Women's champion will face at the show, which will mark WWE's final pay-per-view before Wrestlemania 35 on April 8. Rousey is currently slated to face Ruby Riott at the Elimination Chamber pay-per-view on Sunday. Since joining WWE last January, Rousey has become one of the company's biggest stars, taking part in a feature match at Wrestlemania 34 and winning the Raw Women's Championship from Alexa Bliss at SummerSlam. Although her future with the company past this year's Wrestlemania remains in question, many believe she could become the first woman to headline the biggest professional wrestling show of the year. As of Monday, Rousey was slated to defend her title against Charlotte Flair at Wrestlemania 35, but as they say in the business, the card is subject to change. Originally, the former UFC Hall of Famer was scheduled to face Becky Lynch, before the 'Irish Lass Kicker' was "suspended" for 60 days on Monday Night Raw. Most sports entertainment experts seem to believe that the Wrestlemania main event will ultimately become a triple threat match for the Raw Women's title featuring Rousey, Flair and Lynch. How WWE will arrive at such match remains to be seen. But it now appears that Rousey's route to the biggest show of the year will travel through Cleveland.